Im a big fan of Malaysia and have been 3 times on holiday. So a group of friends say they are heading eat at Satay House came up I jumped at the chance for some Malaysian food. I dined with a group of 5 of us in total and managed to get a last minute table on a friday night. The restaurant is hidden away behind the many Arab restaurants on edgeware road. Satay House itself is very small, but we managed to get large big table downstairs which was within what can be described as a cave. We ordered a variety of dishes and shared everything. 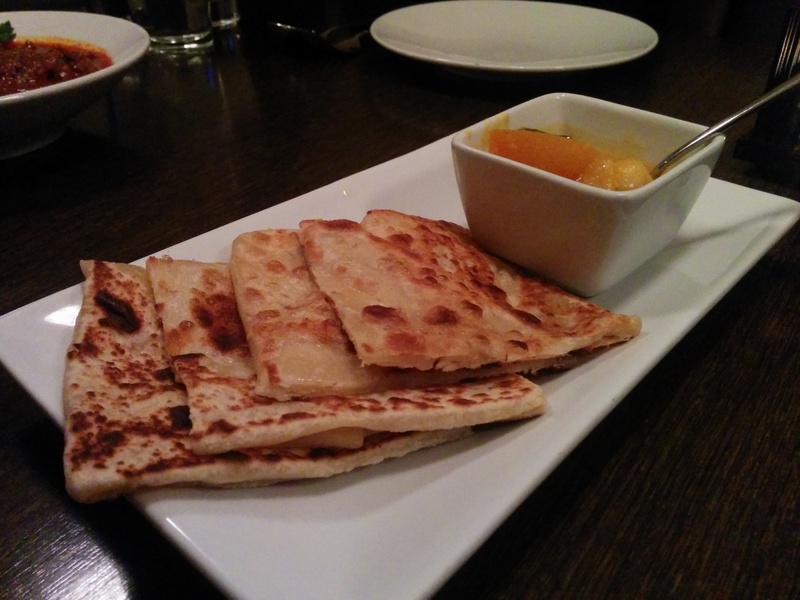 My friends had already eaten here before and raved about the roti canai, which is a traditional malaysian bread. I ordered the chicken satay, which came with 6 small sticks and peanut sauce. I think the size of the chicken was too small, but very similar to what you find on streets on Kuala Lumpur. 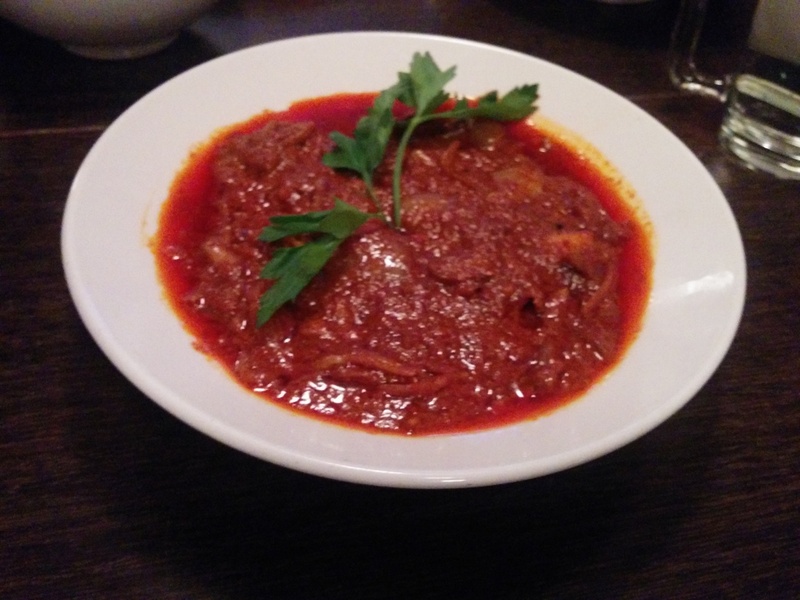 For my main I went for the beef rendang, something I always go for, with rice. 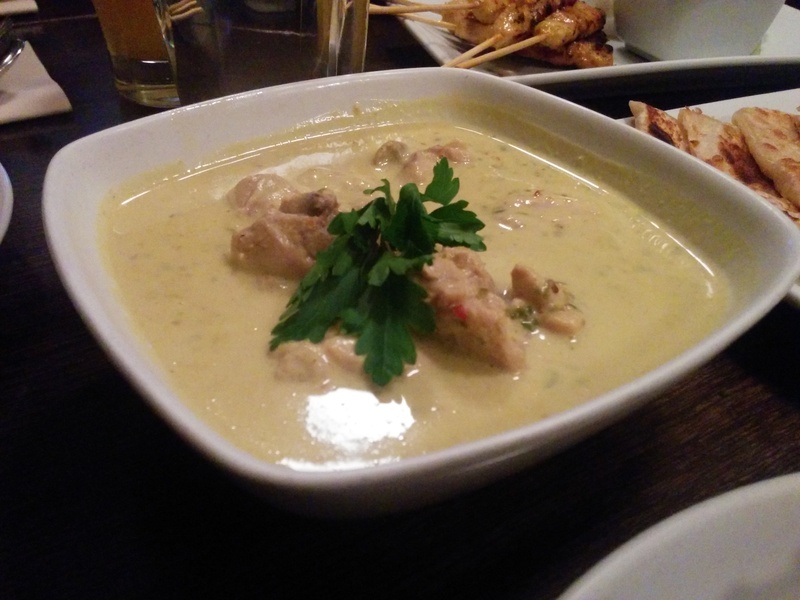 The other mains were 2 chicken dishes, one a green coconut curry the other a spicy one. 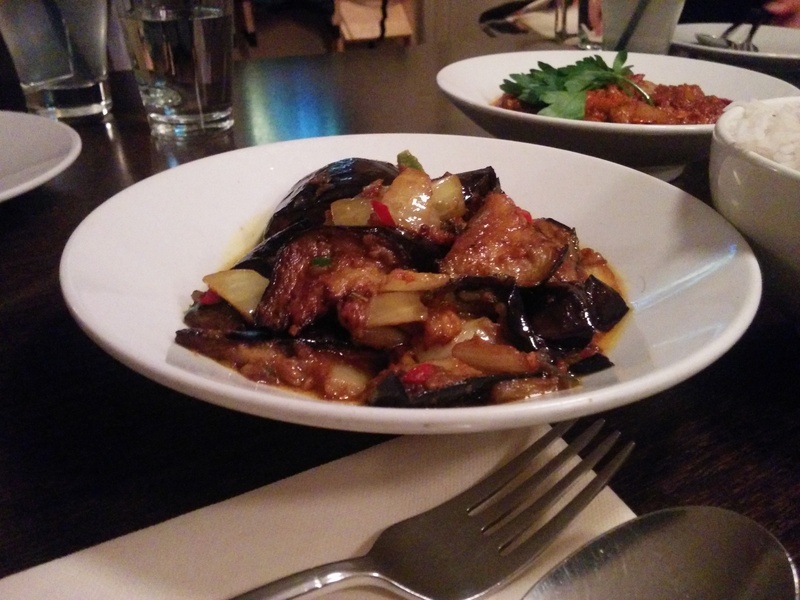 We also had an anchovy, prawn and aubergine curry. 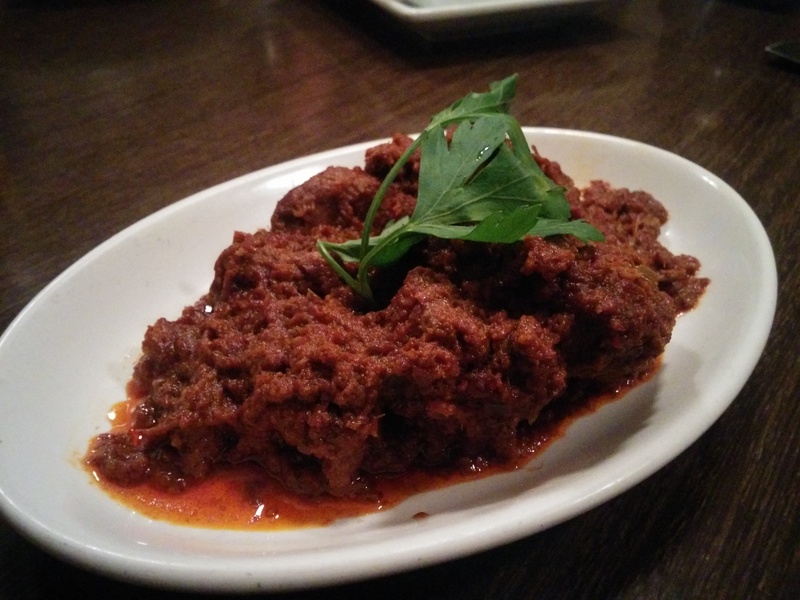 My rendang was really nice, I liked the texture, taste and size of the pieces of meat. 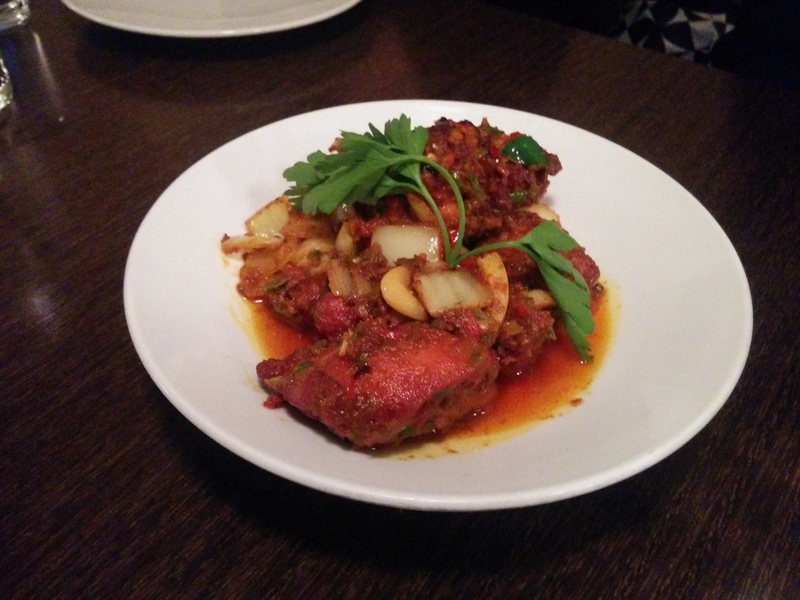 I tried the prawn and aubergine dishes and thought they were good too. The bill came to £100 for 5 Inc service. So that’s £20 a head Inc service. 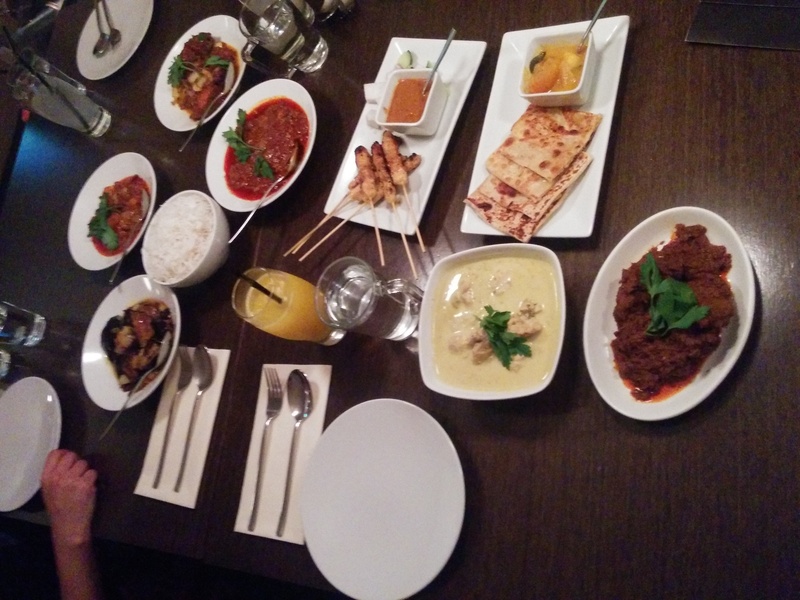 I think we over ordered, as there were 2 dishes untouched. So value wise is just above average. Good food, nice setting, friendly service.